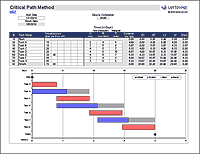 Return to the Gantt Chart Template page to learn more about this template. "Just downloaded an awesome Gantt Chart Template from @Vertex42"
To share this resource, please link to the Gantt Chart Template page. Create historical or project timelines quickly and easily using this original Vertex42 timeline template. Perform a Critical Path Analysis for your project. This spreadsheet automates the PERT algorithm. Create and share a simple to do list. 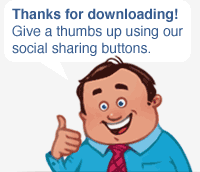 Update the status, priority and due date. Add or remove columns. Create a budget based on the project work breakdown structure (WBS). Calculate the budget amount for each task based on labor rates, material costs, and other fixed costs.